The private entrance to the Wing is on the West side of Achnadrish and has a small enclosed garden. The Wing forms the right hand side of Achnadrish. 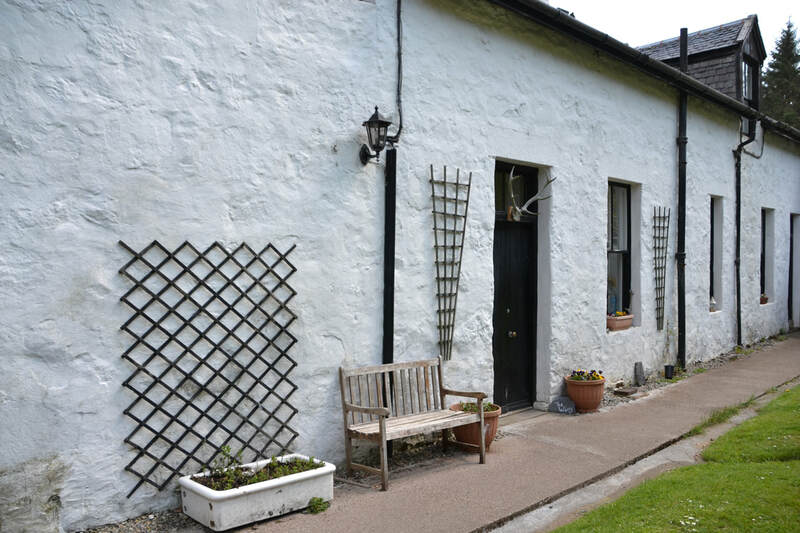 The Wing of Achnadrish house, originally housed the servants who looked after the guests in the main house, and although modernised, it retains a historical charm. 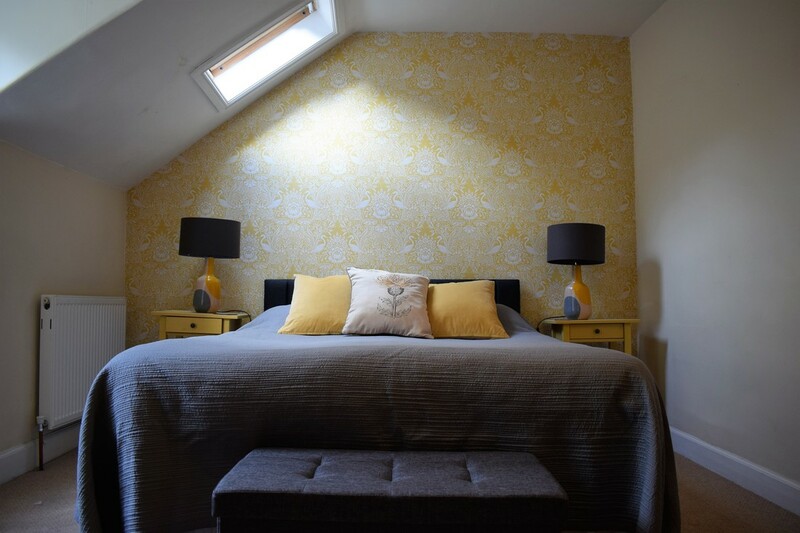 The bedrooms originally formed the hayloft and have a cottagey feel, whereas the downstairs is a little grander, with high ceilings and larger rooms, with a more shooting lodge feel to it and it now benefits from full central heating fuelled by our wood chip boiler, so you can be warm, and environmentally friendly! The garden is yours to enjoy and tables, chairs, a fire bowl and a BBQ are provided. Dogs welcome but must be kept on a lead when out of the Wing's enclosed garden as we have free range hens. Please note the WIFI is limited to the sitting room and kitchen. We regret that the Wing is not suitable for those with limited mobility as the stairs are steep although there is a sturdy handrail. We should add that there is one toilet in the Wing which is upstairs, separate from the bathroom. 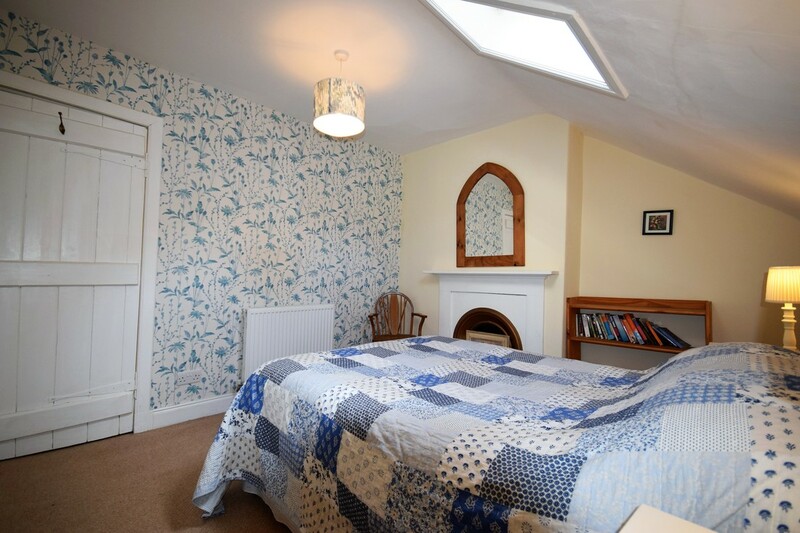 ​There is a free standing shower in the bathroom as well as a lovely big old cast iron bath for a good soak. The hot water and heating are on 24 hours for your comfort. 3 Bedrooms, one double, one double or twin, one twin. 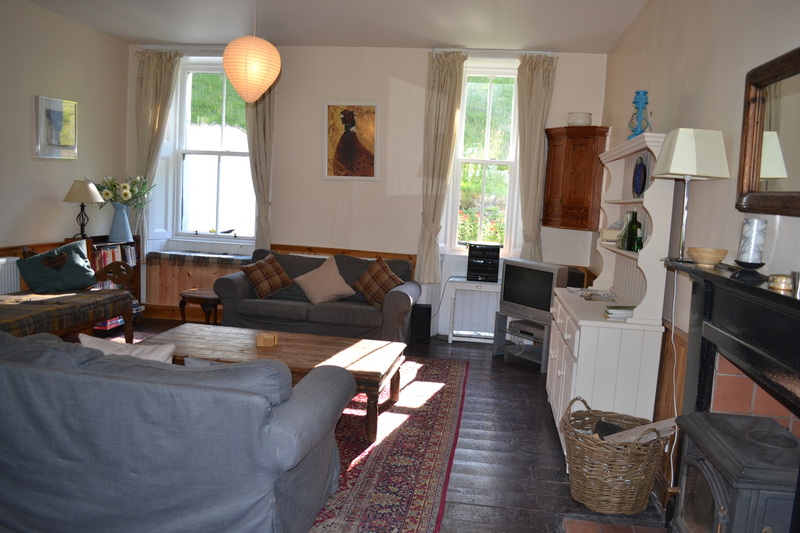 Large sitting room with stove, TV with Freeview and DVD player, ipod/CD player, books and games, FREE WIFI limited to the downstairs area. Bathroom with cast iron bath and free standing shower. 24 hour central heating and hot water fuelled by Isle of Mull Woodchip. Outside sitting area with BBQ and Fire Bowl. Large and comfortable, the sitting room has a stove, TV with Freeview and DVD, Hifi system, and ample games books and puzzles. 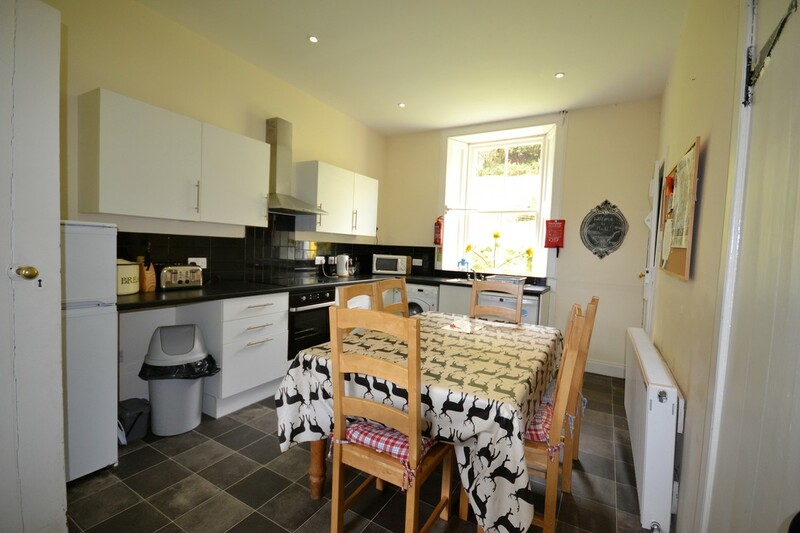 The kitchen is well equipped with oven, hob, dishwasher, washing machine, microwave and fridge freezer. 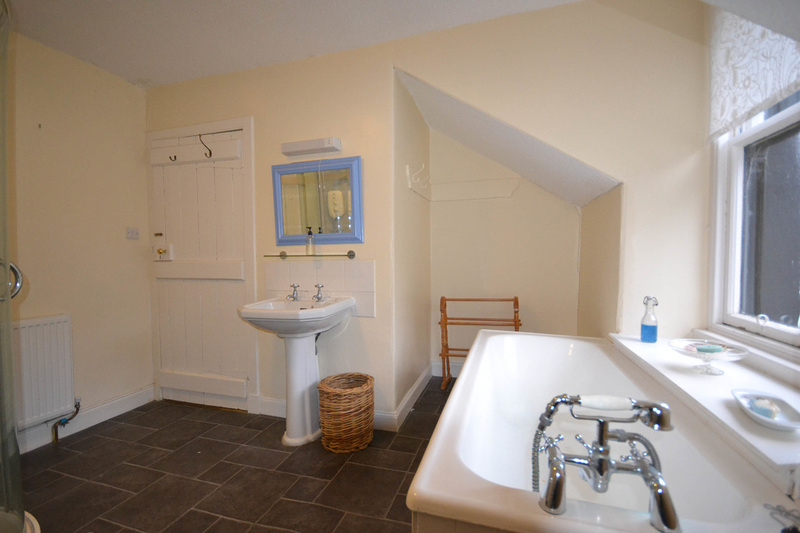 The large bathroom with the original cast iron bath, free standing shower and plenty hot water. 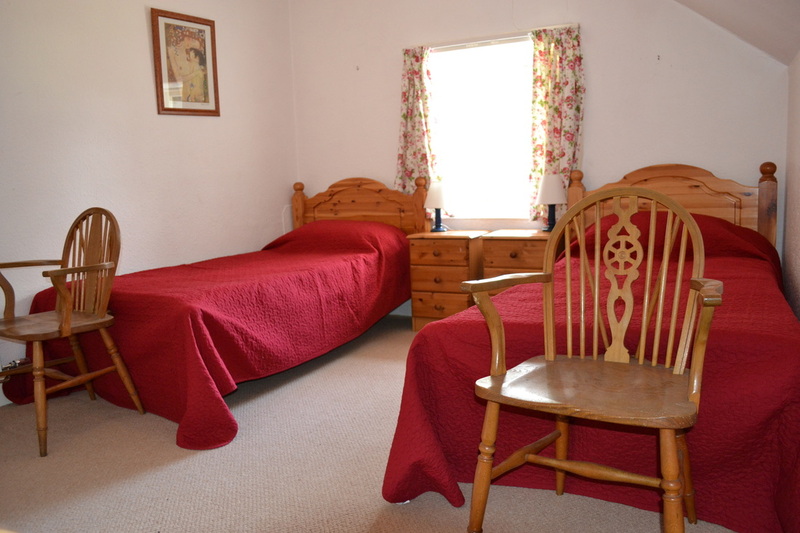 Double room, this room can be a twin if you prefer. 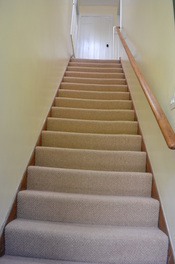 The stairs are steep and not suited to anyone with limited mobility as the upstairs used to be the hay loft. There is a handrail and a stairgate at the top. Check availability/Book or please hover over the Wing Tab.